This article has been updated using data on our 2019 list of accountng software companies to include the newest solutions in the market. Cloud Accounting is Growing Rapidly. In its fiscal report 2018, Intuit claims an increase 1 million subscribers for its cloud-based accounting software, QuickBooks Online, to reach a total of 3.4 million paid subscribers at the year-end. Its QuickBooks self-employed subscribers have also increased to 720,000. Xero, another cloud-based accounting software provider, witnessed an increase of 1.386 million in its subscription base to claim 15% revenue gain during the year ending in March 2018. Given that Intuit and Xero are among the leaders of accounting software, the figures mentioned above give a clear idea that accounting has its new address and it is known as the cloud. An increasing number of users are switching to cloud solutions for their accounting needs, which makes it convenient to attract more attention from the developers to innovate. Some years back, Sage launched Pegg. Pegg is an accounting bot that resembles Siri but specifies the work to the accounting and expense tracking. Weeks later, Xero brought its own Xero Messenger app, which offers more or less the same features. These tools integrate with IM apps and keep a track on the financial transactions. You can later communicate with the bots and ask for these details just the way you interact with any friend over IM apps. These features gave rise to concerns that accounting bots will take over the job of accountants. While Pegg can integrate with Facebook Messenger and Slack, Xero Messenger currently goes well with Facebook Messenger but plans to integrate with Slack and Apple iOS with the coming updates. Pegg is able to store the images of the bills over the online account, which can later be accessed when needed. One can hope for similar features to arrive with Xero Messenger as well. So, the summary of the story is that two market leaders have come up with accounting bots that rely on the cloud-based technologies and continue on the same strategy. With the tremendous rise in dependency of users on smartphones, the rise in popularity of the accounting bots is very eminent. Furthermore, the potential of Artificial Intelligence (AI) is yet to find limits. Most of these bots currently rely on predefined terms in memory and its connectivity with the internet. With the involvement of AI in the scene, these predefined terms can be expanded to deliver more able assistance for the users. Cloud Access Security Broker (CASB) is a control point to analyze the user activity on the cloud application. Usually, they are third-party tools that may or may not be cloud-based. It performs some simple but very critical actions to detect the risk actions with the application access. Compared to traditional security tools like Content Security Policy (CSP) or User and Entity Behavior (UEBA), CASB effects enhanced and specific protections different instances, such as – insider threat and compromised account. Thus, providing an instance based actions to keep the operations on the cloud accessible to the authentic users only, unlike CSP and UEBA. It will analyze the change in habitual access of the users in terms of locations, timings, etc. and deploy the protection steps accordingly. So, when the account access is attempted from a new and suspicious location it can restrict the access. For example, when an account mostly accessed from Toronto is attempted access from Tashkent, CASB will not permit it without additional security checks. There are several other checks that CASB performs and accordingly secure the cloud applications without consuming considerable time. A recent report has predicted that the global CASB market will grow by more than 17.80% from the year 2018-2025. Given the popularity of cloud-based accounting applications and great concerns with their security, CASB is more of a necessity than a luxury in the coming years. What adds more importance to the role of CASB in accounting is that security is a prime concern of the users, who have not shifted to the cloud as of now. As the cloud turns out to be the only option, users will have to make the shift, out of force if not willingly. At that moment, CASB comes up as their reliance to trust their accounting operations with the accounting. So, Blockchain provides a reliable solution to auditing challenge that pertains since decades in form of third-party trust, which required the manual auditor till now. It practices third-entry accounting and unalterable timestamping assures that manual auditing is not a necessity. Hence, it is capable of replacing the existing auditing structure with a faster, error-free, trusted and secure structure. Relying on these factors, experts have predicted the effect of Blockchain on auditing for a while now and as it remains among the toppers of Gartner Hype Cycle of the emerging technology, the future prospects remain promising in its favor. A decade ago or maybe even earlier, it was outsourcing that disrupted the jobs in the accounting industry. Now, the technology is going to take the same credit. Future accountants are not going to survive just because of their accounting skills as software are going to take care of that. It is already visible that with software like QuickBooks even a user of limited accounting knowledge can manage the business accounting with ease. Still, an accounting expert can deliver better results than a novice one. So, professional’s skill set with the cloud technology is going to be an important part of consideration now. Some would advocate the involvement of technology will take away certain jobs while reducing the manpower requirements. However, technology has always been a way of transformation and innovations with the job models. Work-from-home model for accounting professionals, which is already gaining popularity in other industries, will be more reliable and trustable because of enhanced cloud abilities. Moreover, experts in the accounting field, with the advent of technology, are always going to be the first-choice experts in the testing of features, stating the errors, suggesting the solutions, and recommending the further innovations. Customer experience is never a second thing – be it any industry. Accounting and finance, because of intense privacy and data security reasons, has always relied on the customer experience. ‘Big four’ enjoy a great customer loyalty because of a number of reasons, of which customer experience is unignorable. The introduction of cloud computing has added more aspects to it. Cloud has innovated the process of delivering customer experience in many ways. It is no more merely dependent on the call center agent or quality of voice calls. Cloud-based services like social media can play a vital role in improving customer service and help you gain more on the business prospects as well. The accounting industry is feeling these changes as well. As the user and the service provider are able to work anytime from any location, the level of communication requirement has also gone to another level. Apart from collaborating on the same platform, the cloud enables unified communication solutions to keep all the various client interactions synced in one platform. IM chat, voice calls, video calls, text messages, social media posts, etc. can now be viewed and worked from with a better expert and this ability to assist clients on their favorite platform is going to supply more potential to the accounting profession. Cloud computing has added a number of opportunities and conveniences for professionals in every field. Accounting firms and professionals that have already switched to the cloud can expect added convenience and greater productivity in the future. 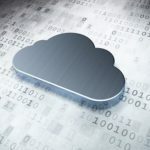 At the same time, those who are still considering the solution still have a way to go as the initial phase of working on the cloud may not come naturally to everyone. For a service like accounting where is technology is critically important but the professionals are not always tech experts, the introduction of new technology has its own challenges. This implies that even though cloud computing has several benefits and is going to be a game changer, the transition from the traditional desktop to the cloud is not easy. For them, hosting desktop software on the cloud instead of directly switching to the cloud-based application is a reliable option. Application hosting services, such as- QuickBooks Hosting, ensures that the user can enjoy the benefits of the cloud without any major change in user experience and basic application features. Cloud accounting is still not a mainstream practice and there is a wide range of improvements waiting to arrive in the future. Of those improvements, the ones mentioned in this article seem more certain than others. Do you expect some other cloud-related innovations with the accounting in the coming time? Mention them in the comment below.